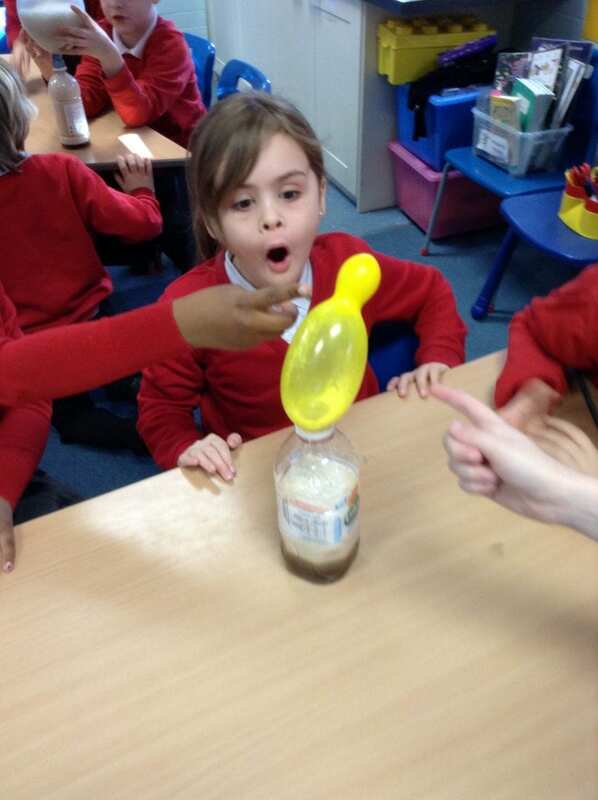 Last week was Science Week at Cotteridge. Our theme was water, water and more water! Throughout the week, children across the school carried out a variety of investigations which included: water density, floating and sinking, viscosity, capillary action, water displacement and surface tension. Each investigation focused on a different science skill so do please come and have a look in your child’s science book at Parent’s Evening next month to see the wonderful activities that have been going on and how science in our school is truly engaging. Some year groups had the added opportunity of visitors coming in to talk about how their professions link with science. Mr Drury came in to talk to Year 4 about electricity, Mr Heyes visited Year 6 to discuss his fascinating as a radiographer and Mrs Dussol came in to talk to Year 5 and 6 children about medicine and clinical trials. Years 3 and 5 also had our STEM club leader come in and wow them with lots of exciting activities relating to different states of water. To add to the excitement, each morning the class teachers set up a mini observation for the children to enjoy and ponder over, an ‘awe and wonder’ moment. We had erupting lemons, rainbow skittles, walking water, inflating balloons, lava lamps and even dancing raisins! These were all activities which can be done at home, so raid that kitchen! The final day involved a whole-school investigation. Classes joined together across different year groups to see which team could make the best water carrier to transport water from one bucket to another, focusing on water proofing and strength. The end result was an exciting race to see who could collect the most water inside 2 minutes! We all got very wet but had so much fun! It was an amazing week and I would like to thank all the children for fully engaging with all of their fascinating activities, it wouldn’t have worked without you! Thank you and bring on next year’s Science Week!